When you turn on the hot water faucet, you expect hot water. In fact, you don’t really expect it, you just take it as a given. But if you wait for the water to heat up, and it only gets to “lukewarm,” then you may have a problem with your water heater. Before we take a closer look at the water heater’s potential troubles, make sure the problem isn’t restricted to only one fixture. If only one fixture is experiencing the issue, the trouble is probably with the mixing valve of that fixture, and you can direct your plumber right to the source of the problem. How Much Water Should Be Leaking from the Water Heater? A water heater that leaks is almost always a problem. If you have a tank water heater and you notice water is pooling around the base, it’s time to call for a licensed professional plumber to look at the system and find out what’s wrong. Leaking water can indicate a number of major problems that require repairs or, in some cases, a full replacement of the water heater. However, there is an important exception, which we’ll talk about below. Posted in Water Heaters | Comments Off on How Much Water Should Be Leaking from the Water Heater? 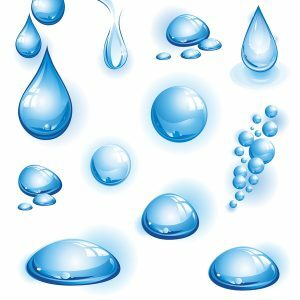 When you turn on the taps in your house, whether for a sink faucet or a shower head, and the water pressure feels weaker than normal, there are a number of different possibilities. In most cases, this is a municipal issue that will soon be remedied. But it could also be leaks, hard water build-up, or problems with the water main to your house. If the low water pressure is coming only from the hot water taps, then the trouble can be narrowed down a bit further. You could have a build-up of corrosion, sediment, or other debris in the hot water lines for the home, but not in the cold water lines. Or … you may have hot water heater problems. If the low water pressure is occurring at all the hot water taps, this is probably what you’re dealing with. How Long Should My Water Heater Last? When people ask our experts this question—and it’s a question we hear often—what they usually want to know is if they should have their current aging water heater replaced with a new one. But it’s also something people ask when they get a new water heater so they know what to expect, and how much return they’ll receive from their investment in the new unit. The question doesn’t have a single, simple answer. “It depends,” is one way to answer it, but that won’t satisfy anybody. Depends on what? And what can be done to see that it last for as long as possible? Posted in Water Heaters | Comments Off on How Long Should My Water Heater Last? Scalding Caution for Your Water Heater! A hot water heater is a heating device that works in all seasons. Here in Southern California, where the mild winters mean home heating systems that work only for a short time, a water heater does the same steady work as always, no matter the month on the calendar. But if you’ve noticed a recent change in the temperature of the hot water from the taps and shower heads, or you just don’t think you’ve ever gotten sufficient warmth from the water heater, please don’t turn up the aquastat (the water heater’s thermostat) to try to make up for it! 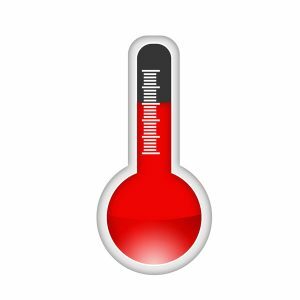 Posted in Water Heaters | Comments Off on Scalding Caution for Your Water Heater! We’re big proponents of tankless water heaters in Santa Ana, CA—really, for any place we service in Southern California! 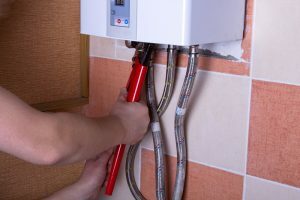 But even though tankless water heaters are less prone to repair issues and breakdowns, they can suffer from some specific issues that may require you give our team a call to look into it. Below are a few of the more common tankless water heater issues. Corrosion on a Water Heater: Time to Replace It? The tank water heater in your home is an appliance that is in danger of corrosion because of the contact between metal and water. But, you’ve probably noticed, the water heater is quite resistant to corrosion. That’s because models are designed this way, with a number of safeguards to stop the tank or other components from beginning to rust. However, corrosion can still affect a water heater. When that happens, does that mean it’s time to have the water heater replaced? Posted in Water Heaters | Comments Off on Corrosion on a Water Heater: Time to Replace It? If you have noticed water starting to pool around the base of your storage tank water heater and you’re concerned about it … well, you’re already on the right track! The only place water should be escaping for a hot water tank is a few drips from the temperature and pressure relief valve. Anything else indicates trouble with the water heater. In most cases this will require calling for professional water heater services in Santa Ana, CA or wherever you are in Southern California. Fortunately, you have some of the best professional plumbers available any time of the day or night! Our plumbers are always here to help—because we’re always open for business! Posted in Water Heaters | Comments Off on Why Is My Water Heater Leaking? Spring Plumbing Help: You May Need It More Than Ever This Year! February was a harsh month for Southern California as a major rainstorm swept through the region. The amount of damage was immense and emergency services were kept busy around the clock helping to rescue people trapped on the roads and to fix downed power lines. 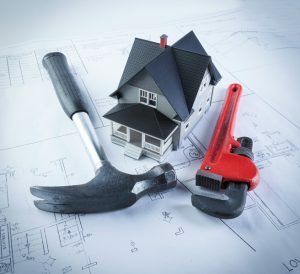 We addressed some of the plumbing concerns that your house may have encountered in the wake of the heavy storms a few weeks ago, plus advice on what to do about them. Today we’re following up with recommendations for checking on your plumbing before the official start of spring. We advise homeowners to make these checks every year, but it is especially important this March because of how cruel February was. Southern California plumbing systems aren’t used to this level of abuse from Mother Nature! If you need professional plumbing in Fullerton, CA or elsewhere, contact us. We are ready 24/7 to help with all your plumbing needs. 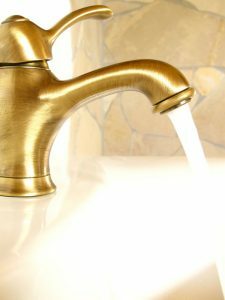 Posted in Plumbing | Comments Off on Spring Plumbing Help: You May Need It More Than Ever This Year! 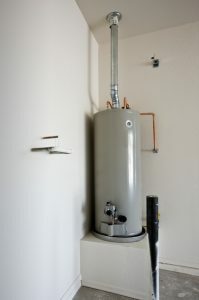 The most common type of water heater found in homes is the familiar tank water heater. There are many great alternative options for new water heaters today (such as tankless and heat pump models), but if you still have a tank water heater, you’ll want to make sure that it lasts for as many years as it can before you need to think about a replacement.